In a new report, Airbnb has highlighted the impact the home sharing platform has had in rural communities where you might not otherwise find a place to rest your weary head. Though the California-based platform is associated with urban retreats, Airbnb also has a strong foothold in more remote regions. More than 18% of Airbnb's listings are in rural locations and more than 3.3 million people booked stays at rural homes over the last year. If you're like most travelers, you might not have realized how many people are taking rural sojourns. 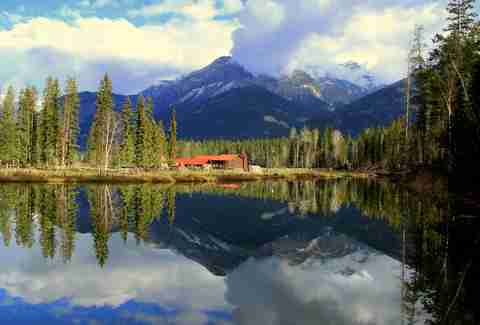 To illustrate how outstanding the rural offerings are, Airbnb shared 10 of its most alluring rural destinations. Here's a look at some unexpected journeys you could take. 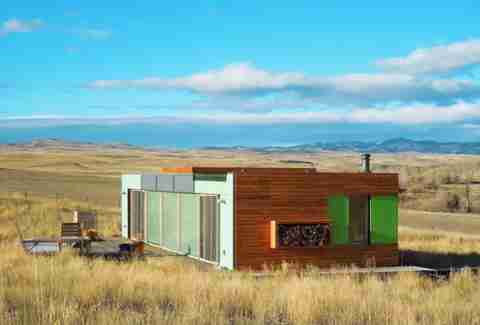 This refurbished shipping container in Montana sits within sight of the mountains and even has good outdoor space to hang out. Like the first stop, you'll be a long way from your usual urban concerns. This house has almost every element of the serene cornered. You're under a mountain, on a glacier-fed river, with no one around but a herd of buffalo. If you stay between May and October, your hosts will arrange a free buffalo tour for you. It's not clear what that entails, but it's probably exactly what you're looking for. This cozy little solar-powered two-bedroom is just 45 minutes from Yellowstone National Park and is close to Gallatin National Forest and Hyalite Canyon, as well. Additionally, the owners are working toward building a living/working ranch for young adults with autism. So, you're staying in a damn beautiful location for a good cause. 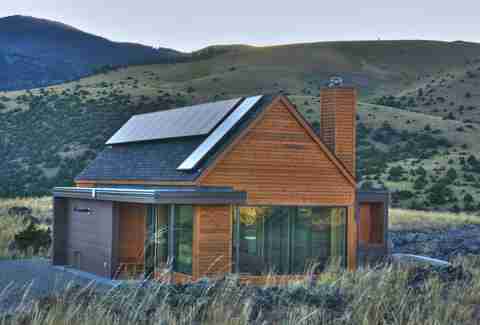 This entirely solar-powered home has been named one of the "Best Homes in America" by Dwell and has been recognized by many publications as a wonderfully unique retreat. 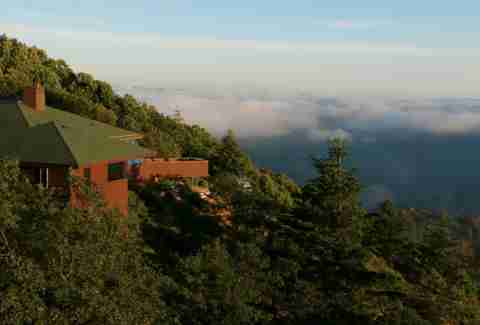 It's off the grid and has windows on all sides. The views from pretty much anywhere inside -- not the toilet -- are striking. You'll be doing without a TV or WiFi. But that's why you're getting out of the city. Right? This refurbished farmhouse is pretty damn cool. 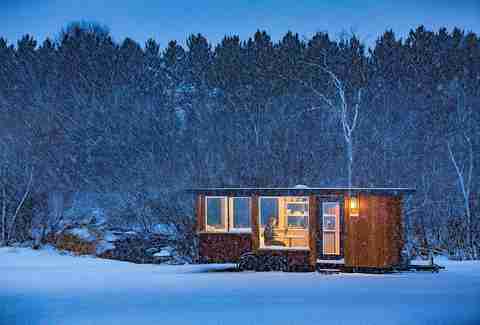 It has a modern feel and comes with sliding walls, a wood-burning stove, and lots of outdoor space. Plus, the all-black look is kind of metal. 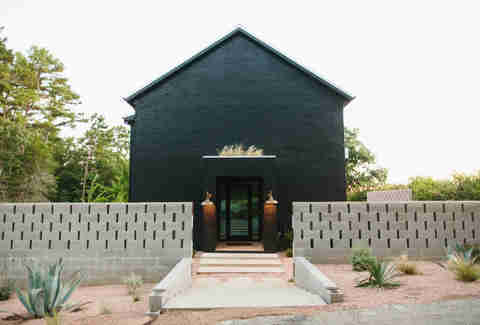 This is a perfect little retreat for someone who never throws rocks. It doesn't have many bells and whistles, but it's remote and quiet even though it's only 90 minutes outside New York City. The views from this house are ridiculous. You're just renting a wing, but you still get full access to a panoramic view that sometimes places you above the clouds. It doesn't hurt that the suite is quite affordable. 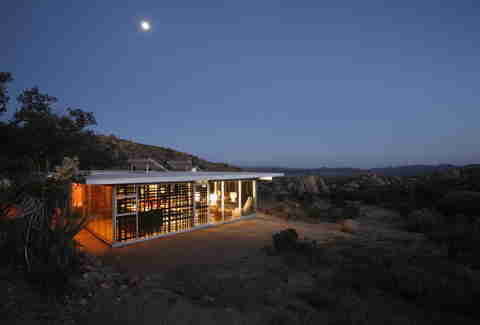 Near Joshua Tree, this house has a two-tier patio for dining under the stars within sight of the park. 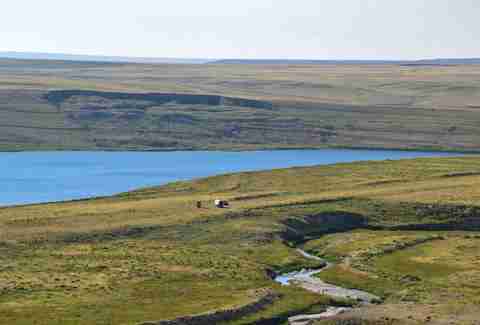 Or you can spend time soaking up the natural beauty in a hot tub in the middle of nowhere. 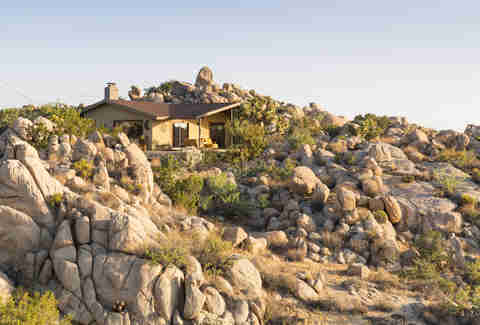 Another spot near Joshua Tree, nestled into a "surreal rocky landscape," it also has an attractive hot tub situation and is situated on 200 acres of natural beauty. Dustin Nelson is a News Writer with Thrillist. 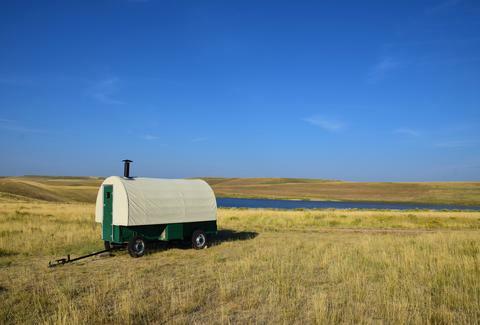 He's always dreamed of spending the night in a covered wagon, but he's never been very good at fording rivers. Follow him @dlukenelson.